Earn money using these lucrative Android apps. In this age of the internet economy, making money on the side has never been easier. Now you can earn money in addition to income from your regular job without leaving your house. 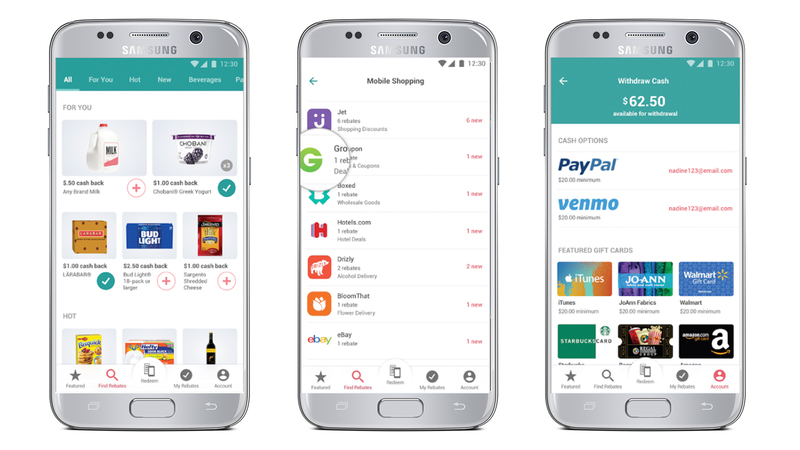 Using Android apps, you can make money by selling unwanted items or investing your spare change. If you’re looking to make a few bucks on the side, you can reach your financial goals with these apps. 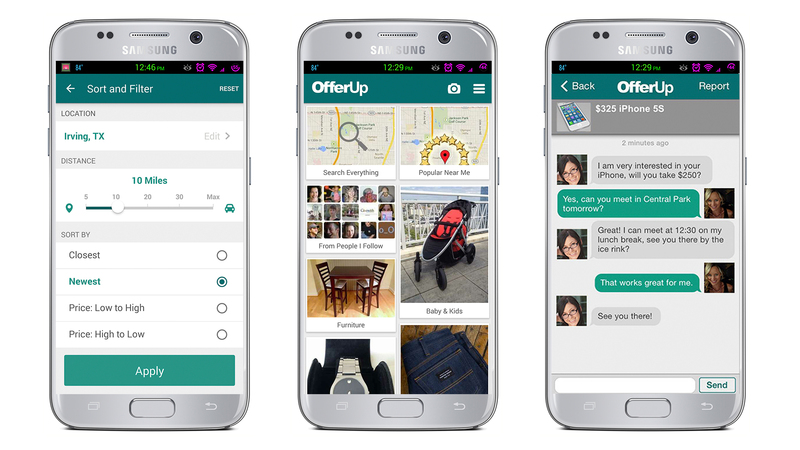 The OfferUp app helps you convert items you no longer use into cash. With OfferUp, you can sell things you no longer want to willing buyers located nearby. 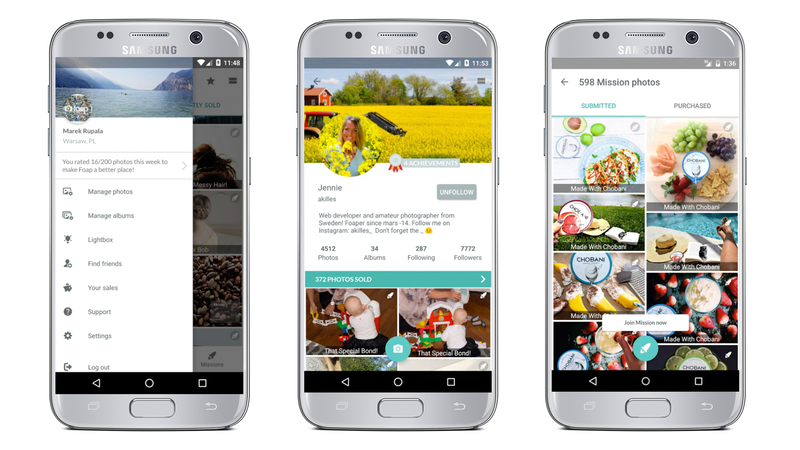 Download the free app, take a few photos of the things you can live without and wait for offers to start pouring in. From lamps and shoes to surfboards and poker chips — if you want to offload it, chances are good that a local buyer is willing to pay you for it. “I really like this app. There’s something here for everybody. Most of the [people] are polite and respond quickly,” a reviewer on Google wrote. Among the top quick cash apps is Decluttr, which focuses on obsolete electronics. With a few screen taps, you can turn old cell phones, dead stereos, DVDs and outdated video game consoles into cash. With Decluttr, you can sell all your obsolete electronics in a single transaction — and you’re guaranteed the price quoted in your original appraisal, which requires you to scan a barcode for each item. The Acorns app makes investing easier than ever. 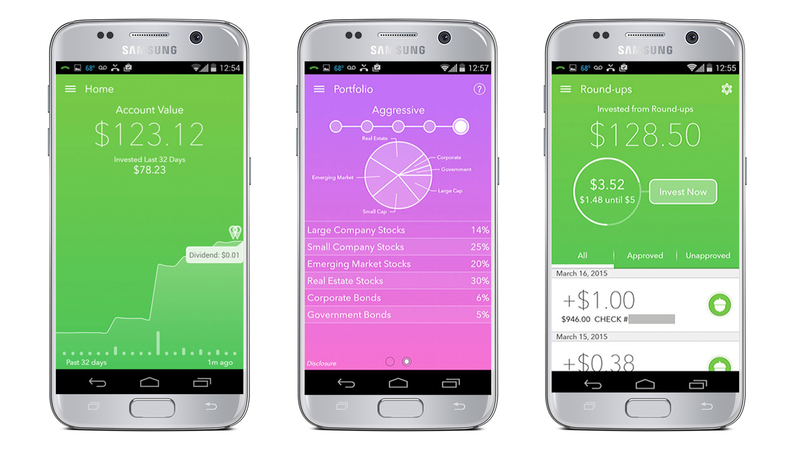 As one of the best Android apps, Acorns has opened the world of Wall Street investing to ordinary people with pocket change — literally. When users link their bank cards to Acorns, the app rounds up their purchases to the next dollar and deposits the difference into an investment portfolio created by professionals and chosen according to the risk tolerance of each individual. “For the micro-savings category, we think Acorns is [the] best service available,” a reviewer from Investment Junkie wrote. 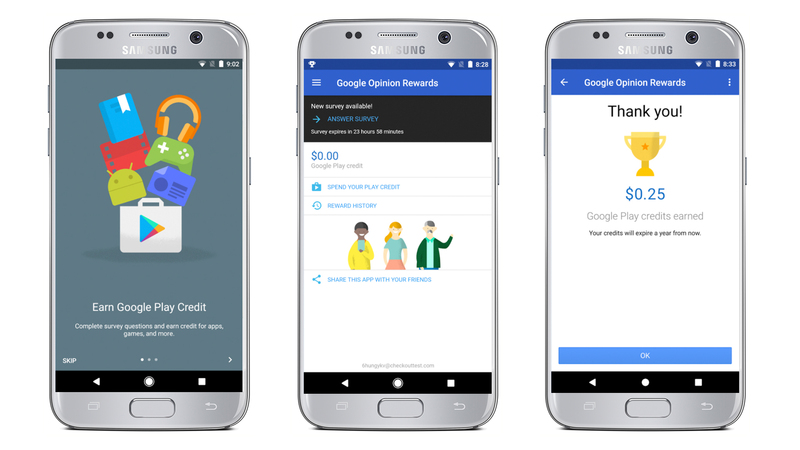 Google Opinion Rewards is a Google Inc. app that treats its users as focus group participants. To get started, download the app and answer a few questions about yourself. Then, Google will send you questions and surveys about a range of topics, asking you anything from which logo you like better to questions about your next vacation. In exchange for your participation, you’ll get credit — up to $1 for each response — to Google Play, where you can then use those credits to buy more apps. “If you’re honest with your answers, you get a lot of surveys,” a Google Play reviewer wrote. If you’re responsible for some of the 80 billion photographs that Americans take every year, your talent could translate into money. Foap gives you the opportunity to sell your best pictures to marketers, businesses, web designers and anyone else willing to pay $10 for the perfect stock photo. Foap splits the cash with its users 50/50, giving you $5 for every image you sell. “I like this app — it’s easy to use and I even won $100 in a contest,” a Google Play reviewer wrote. 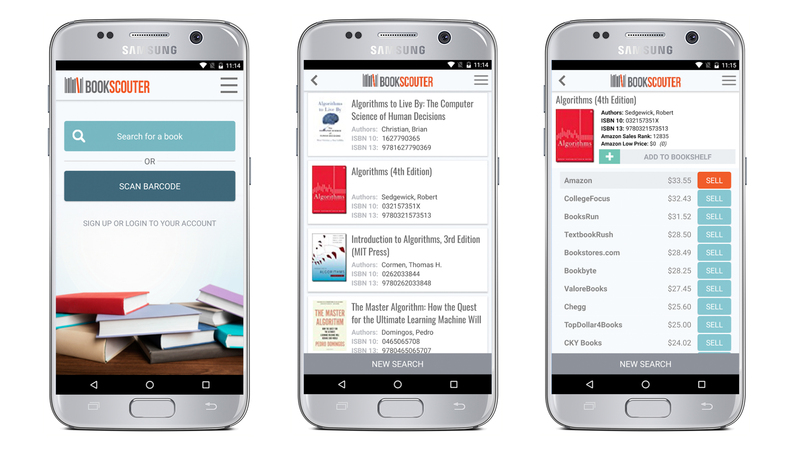 BookScouter is the perfect app to pocket some extra cash if you’re looking to toss out some unwanted books. Enter the book’s ISBN number or title, and the app complies a list of more than 30 vendors who are willing to purchase back your book. From this list you can select the vendor offering the highest resale price, then simply ship off your book. Depending on your preferred method of payment, you can expect payment as quickly as one to three days after the vendor receives your books. Surveys On The Go is another free app that pays you for your feedback on dozens of surveys about various topics and issues. Just answer a few preliminary questions about yourself and you can get started sharing your opinion and getting paid for it. The company sends out one to two surveys a week and pays cash via a PayPal account, according to the app’s website. Gigwalk connects you to dozens of jobs in your surrounding area. The jobs offered — mainly from consumer brands and retailers — are often temporary and vary in time to complete. For instance, you can choose a gig that takes less than a few minutes, and can earn anywhere from a few bucks to $100, according to the app’s website. Got something you need to sell? 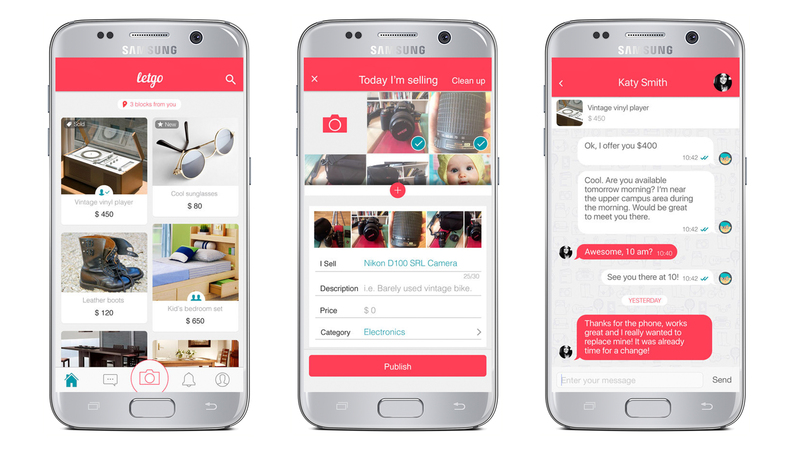 The letgo app allows you to browse, buy and sell secondhand items locally. Just post a picture of the item you want to sell, and let potential buyers come to you. Everything from furniture, clothes, decor and electronics are available for purchase through the app. letgo strongly encourages meeting a buyer in person, and using a secure method of payment such a PayPal to complete all transactions. One Google Play reviewer said she liked the in-app chat feature, which prevents you from having to share your phone number with strangers. The same person pointed out the lack of anonymity regarding reviews of other users as a drawback. 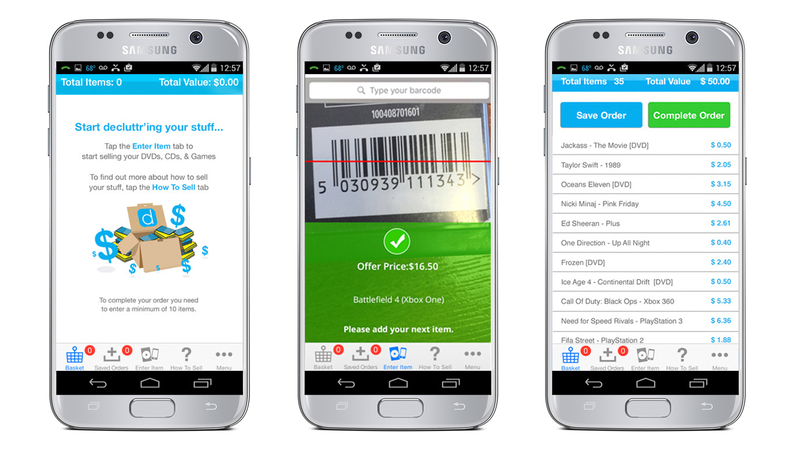 Ibotta is the mobile app that gives you cash back for buying specific items. Once you download the app, find and apply rebates from the stores you like and begin shopping. After purchasing your items available for rebate, submit a photo of your receipt and receive cash directly into your Ibotta account with two days. In a recent Google Play review, one user shared that she liked the app a lot, saying it was a great way to earn extra money on things you buy monthly. 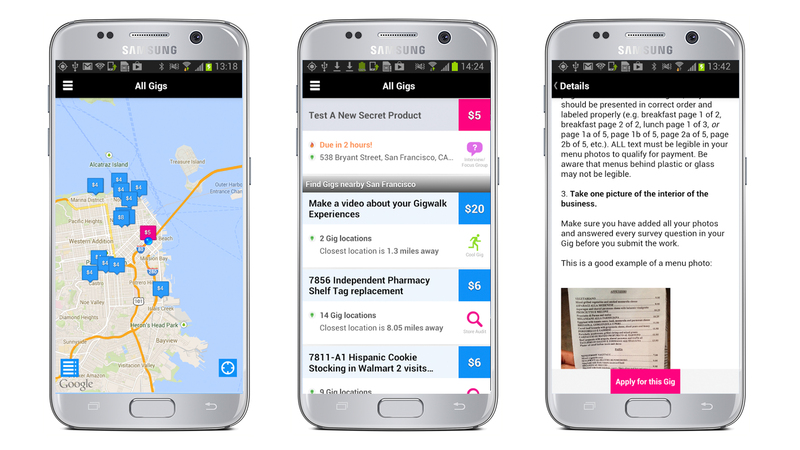 The best Android apps can make earning money on the side easier than ever. With little more than a smartphone, some creativity and the will to increase your income, you can make the money come to you. The most famous pundits can make the worst investing calls.